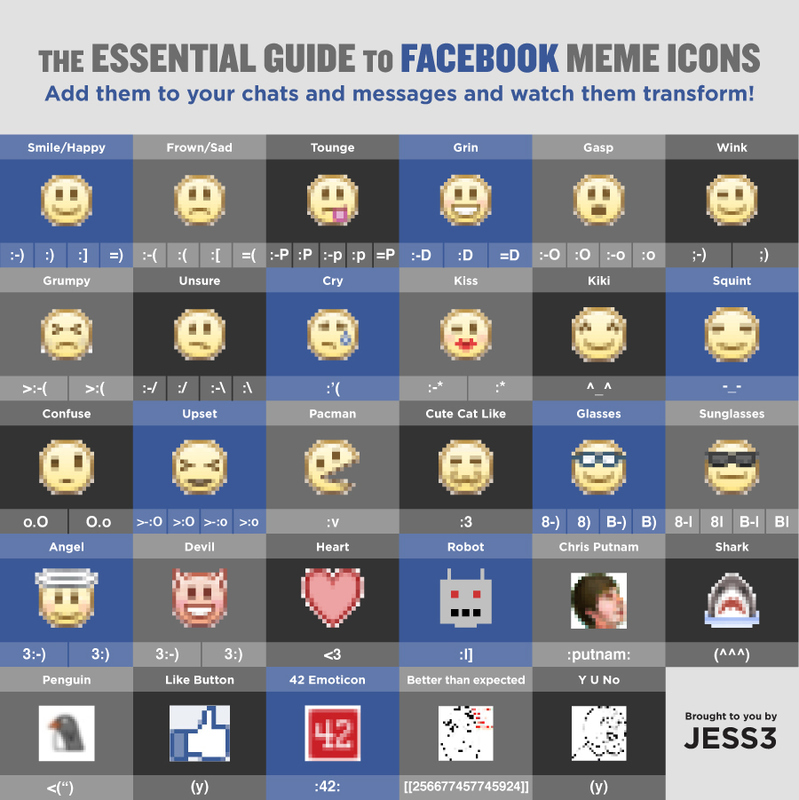 As part of an ongoing effort to make the internet more fun, JESS3 created the definitive guide to Facebook emoticons through our LABS division. 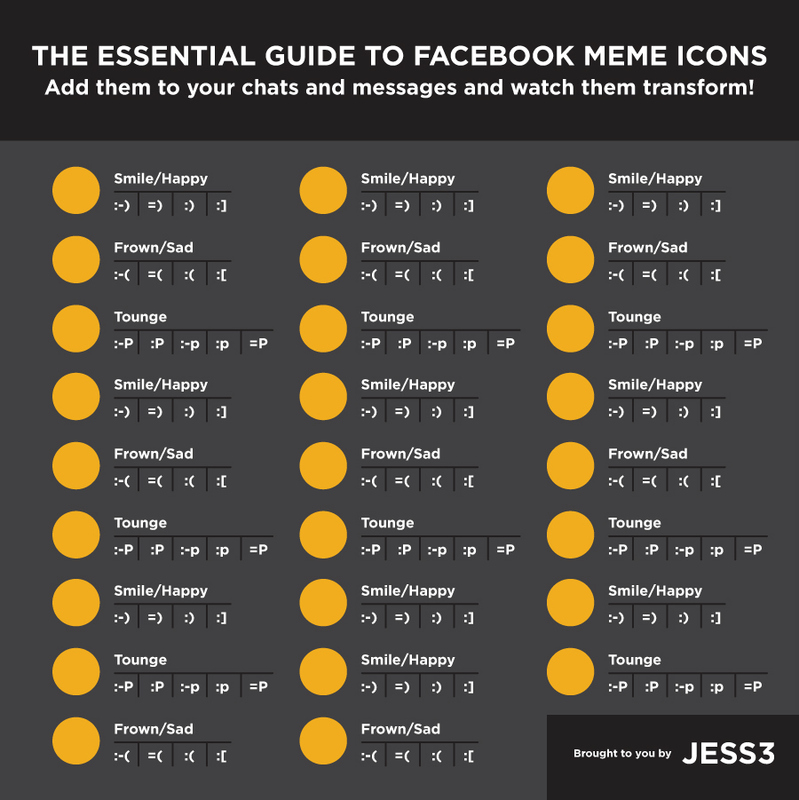 JESS3 elevated the average Facebook meme by adding playful design to a straightforward graph detailing the shortcuts to every Facebook emoticon. 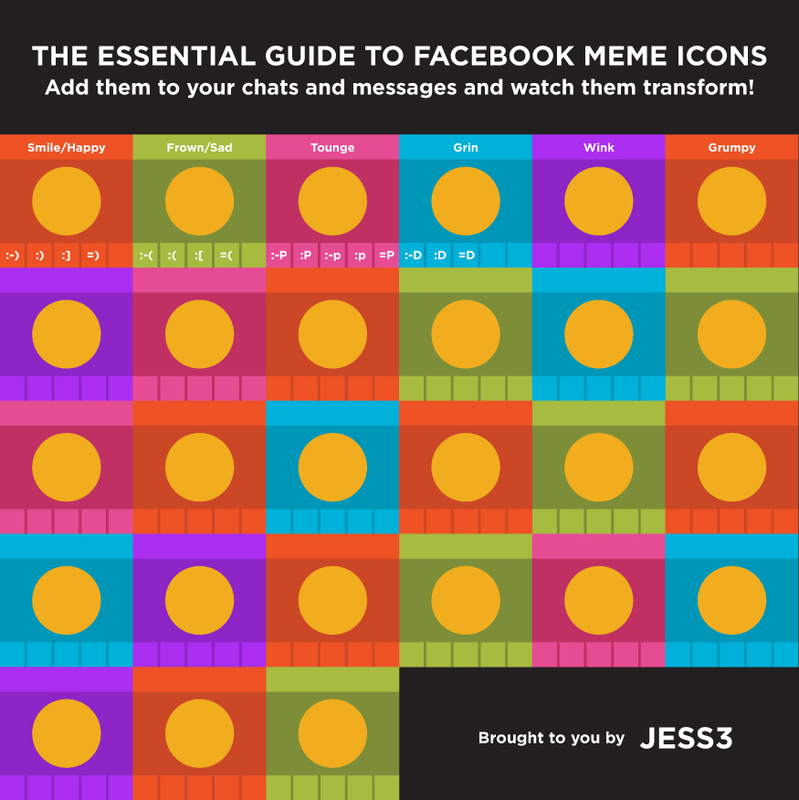 Focusing on improving the general Facebook experience allowed JESS3 to deliver relevant content that resonates with a wide audience. 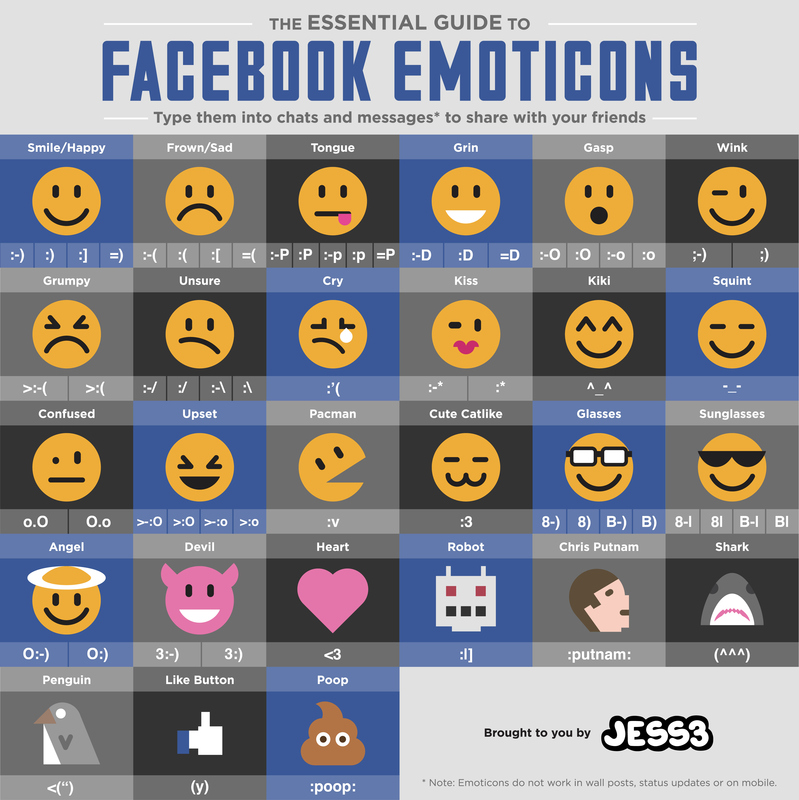 It’s snackable information in a super-shareable package. 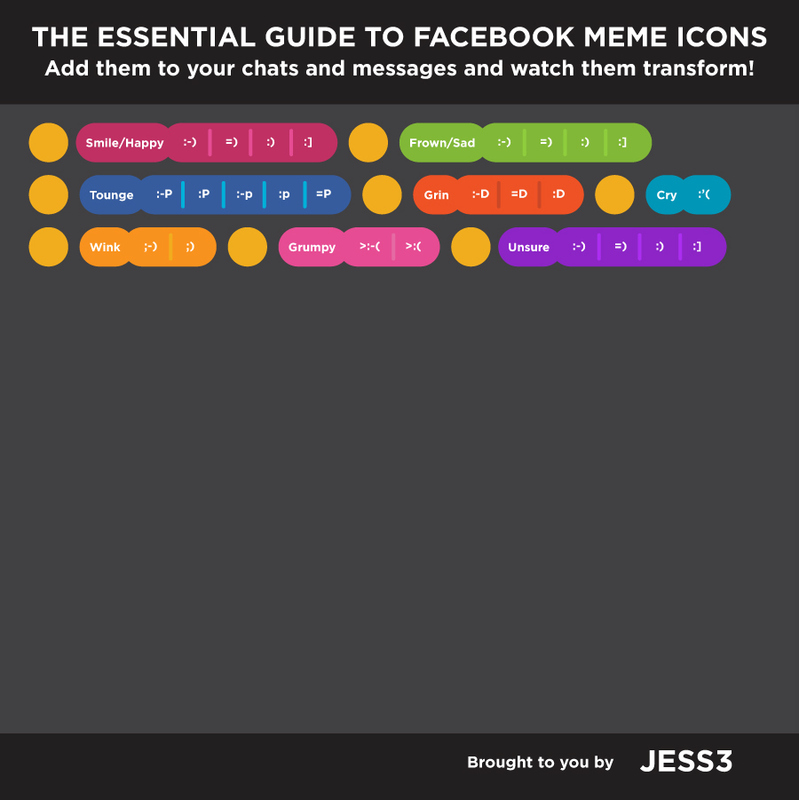 The guide premiered on The Next Web and made a splash in the social web.